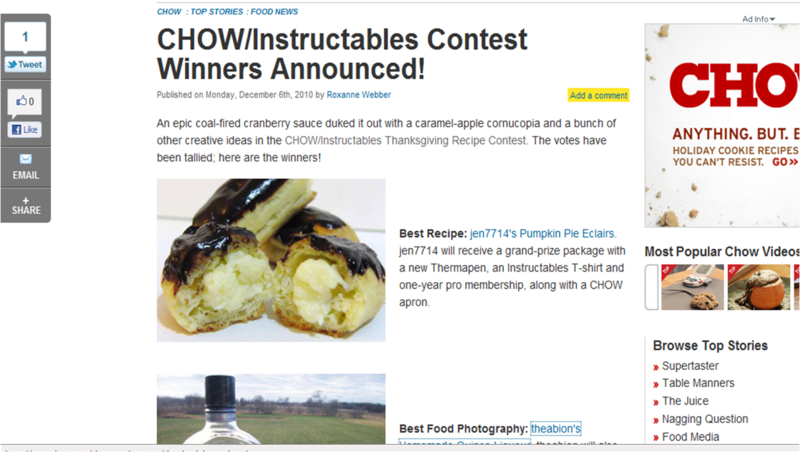 I entered my Pumpkin Pie Eclairs Instructable in the CHOW/Instructables Contest. The winners were announced today and I won! I won the award for “Best recipe.” Great job to all the other instructables! The instructable that won “Best photo” is here. Here is a link on the CHOW.com website announcing the winners. Thank you to those who voted! Be sure to check out the winning recipe and try it out yourself!